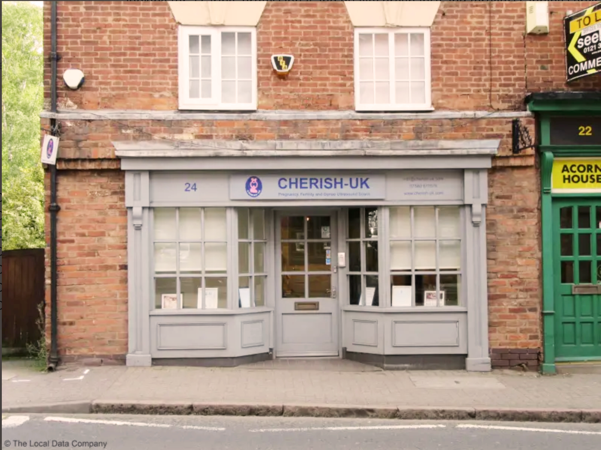 Access and parking for Cherish-UK: Cherish-UK is situated opposite Greens Estate Agents. There are several 'pay and display' car parks in very close proximity. If you have any form of disability which may prevent you from climbing stairs, please call us to discuss arrangements. (exit for northbound traffic only) and the M6 toll road. The A38, A453 and A5127 pass close to the hospital. Sutton Coldfield train station is within easy walking distance to Cherish-UK. When leaving the station via the front entrance turn right along Railway Road, past the job centre, at the end of the road, Cherish-UK is directly opposite. For more information on train travel please see the links below to help you plan your journey or find out timetables: Centro | Railtrack | the trainline.com.